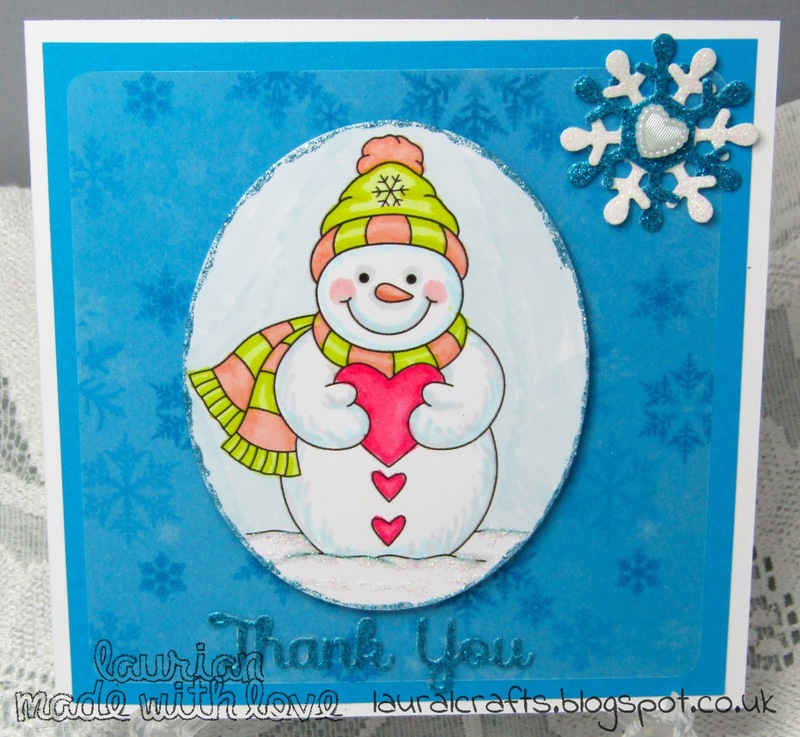 Outside the Box: Miss Daisy Stamps! I got a message out of the blue a couple of days ago from Kathryne (Formerly Stamp Art Design) who used to be one of the Whimsy Digi Artists, when Whimsy stopped doing digi stamps the very talented Kathryne was lost to us - until now!! She has opened her own store - Miss Daisy Stamps - where you can find all her adorable images! This wonderfully happy snowman was free in the store and I just had to play with it! I coloured him up with Promarkers and gave him a little glitter! 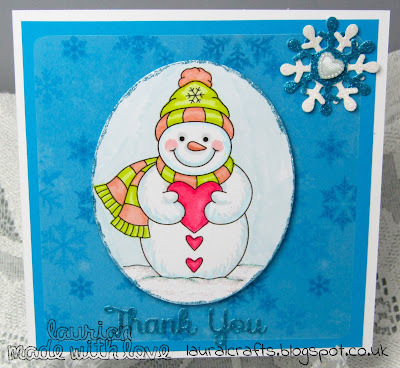 He is layered onto a snowflake vellum layered onto a matching blue, the sentiment is a Spellbinders die cut and the snowflake I cut twice from blue and white glitter card then finished with a pearl heart. Doesn't her just make the prettiest Thank You card! You can also visit her on Facebook Here, so why not pop over and say Welcome Back! !